Casio G-Shock AW-591MS-1AER to funkcjonalny i wyjątkowy zegarek męski. Materiał, z którego wykonana jest koperta to stal nierdzewna i kauczuk, co świadczy o wysokiej jakości produktu, natomiast tarcza nadaje zegarkowi charakteru przez swój wyjątkowy czarny kolor. Zegarek wyposażony jest, między innymi, w chronograf (stoper) i funkcję daty oraz alarm (budzik). Ten model posiada 200 metrową wodoodporność - oznacza to iż można używać go pod wodą podczas nurkowania (poza głębokimi morzami). Do zegarka jest załączane oryginalne opakowanie oraz 2-letnia gwarancja od producenta. Bought this watch as a birthday present for my husband. He rates it as follows: Watch is very comfortable to wear and looks of a higher value than it was. Features are easy to use and the set up process is not difficult if you follow the manual. Having wanted a G Shock Watch for a long time and being slightly restricted by budget this is an excellent watch for the price paid. This watch has all the features you would need, the backlight is a very useful function. Overall, extremely happy with the look of the watch, functions and wearability. Nice watch and a good fit, you do need the instructions to set it up though. The small dials are difficult to see without my glasses and would be better if the face was white. Excellent watch for everyday use. Perfect transaction and fast delivery. Bought this watch as part of a 21st birthday. Really good response on opening the packaging - in a tin building expectancy, The watch itself manly enough. The functions and light - better than he was expecting. The strap - different, comfortable and strong. All hitting the satisfied look we were hoping for. Great quality watch that is a good all rounder for sports and leisure. Great features on the watch and it looks really stylish when worn. I needed a watch specifically for work so I had very simple requirements. I often work in dirty, dusty environments, sometimes in the rain and sometimes at night, so first and foremost I needed a watch that was easy to read in low light and that was tough enough to take some punishment. Originally I bought a cheap watch with the intention of throwing it away if it got damaged but I found it performed poorly and was uncomfortable, so I decided to go for the real thing. This G Shock is probably the baby of the range, much smaller than the regular chunks of G Shocks that you see, which are nice as a statement piece or if you are a combat diver with 18 inch wrists, but in the real world they tend to get a bit in the way. While it is still quite thick, this one has a smaller face which keeps it more in proportion with my normal sized, non gorilla type arms and the wide strap makes it look more uniform. The strap itself is comfortable, a nicely lined fabric webbing with reinforced buckle holes. I am aware from my research that in the longer term, the strap is a weak point in the design, but I think that is a fair trade off over the normal plastic/resin G Shock straps for the additional comfort it gives. So how does it suit my needs? Well, to be fair it does what I wanted and does it brilliantly, but it does not do everything that it promises. It is comfortable for long periods and I can tell the time quickly and easily, in low light the backlight lights up the perimeter of the watch face and the hour and minute hands perfectly. It feels totally bombproof and I have no worries about it getting damaged, so I dont have to think about protecting my watch when I am up to my neck at work. So the bad stuff is basically everything else, apart from the analogue time, design, build quality and toughness of this watch all of the other features are rendered totally useless by the fact that all three of the digital display windows are impossible to read anything on whatsoever. The white on black lcd readouts do look cool, but unless you literally shine a torch on them you cant see what they say, even in a brightly lit room they are hard to see and the built in illumination doesnt go anywhere near them. So that means the timer, stopwatch, alarms and world time are all out of reach out in the field. The digital displays are also needed briefly to set the watch up, but so far that was a simple one off experience and the watch has not needed adjustment since. The only other negative to this watch is the fact that it is not solar, so when it comes to new battery time it can be expensive to renew the seals that maintain the watches waterproof integrity, but that is a trade off in price, and with watchshop this was cheap enough to make its couple of years lifespan worth it. Service and delivery from watchshop was faultless as expected, nice to see a company live up to its claims. I bought this watch for my nephew for his 18th Birthday and he absolutely loved it, previously I had bought a G_Shock watch for his brother who is in the army, and based on how hard wearing and reliable that watch was his brother wanted something similar. Fantastic stylish watch definitely recommended. This watch is excellent, even the strap is smooth. It is a great addition to the G-Shock range. I brought this item as a gift and my fella loves it. Has it has a strap covering the metal back which is a bonus as hes allergic to the metal and it looks really stylish and he hasnt taken it off since. And the price was great aswell as got it on the sales. 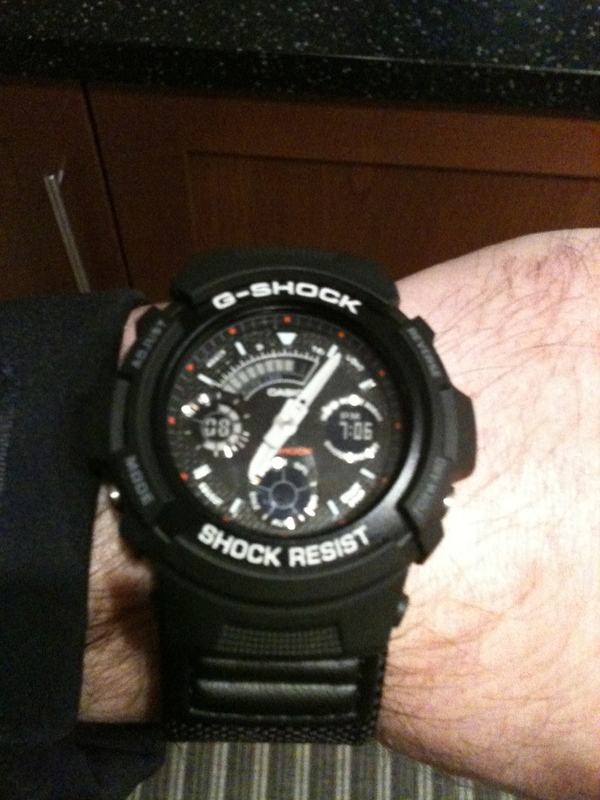 I was after a chunky G-Shock watch that was not massive, as I dont have very big wrists, but looked big/mid size. For £57 this is amazing value - I would have even paid full price. The watch looks better in the flesh. The detail in the face is excellent, the build is really sturdy, the setup instructions are simple to follow, plenty of features on offer, the strap is comfortable and holes are close enough to get a perfect fit. Comes in a nice G-Shock tin which keeps it safe when not wearing it. 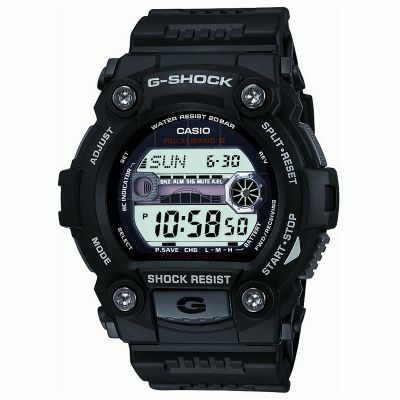 I would certainly recommend the iconic Casio G-Shock watch and would get another one when the time comes. Fantastic watch - I find myself ramdomly looking at it very happy owner. The strap is comfortable and fits nicely. The watch is a nice size I. E not too big. The light feature doesnt light up the date, day which would be helpful and the digital time is so small its very hard to see. Overall I still like the watch and consider it good value. Been looking for G-Shock watch for a while now, mainly for use on holiday due to it being hard wearing and water resistant. Shopped around a fair bit and decided on the AW-591MS-1AER for a number of reasons. Firstly, the strap. Given the reason for purchase it was important to have a strap I could wear 24 hour per day, both in and out of water. This discounted both rubber and metal so the fabric strap was idea. Very comfortable to wear round the clock. The functionality of the watch is very easy to use. All features, be it countdown timer, stop watch, date etc are all very easily used. The auto LED is a great little feature which turns on in darkness to illuminate the watch with a turn of the wrist. Given the features, along with the look and feel of the watch I was astounded at the price. Fantastic piece of kit for not a lot of cash!!! excellent watch, exceptional value, extremely accurate. Great watch, already been used whilst swimming and going to the gym. Stopwatch function works perfectly to track how long Ive been working out. Highly recommended if youre looking for a reliable and good value for money, everyday watch. 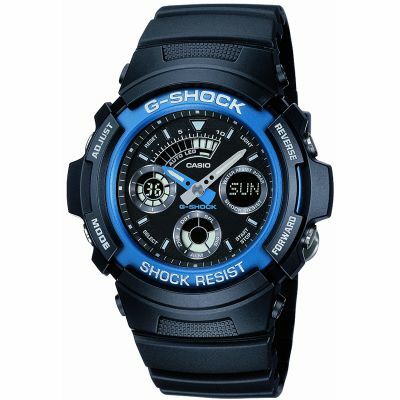 Watch exactly as described, slightly smaller than the larger of the g shocks which makes it not too bulky for wearing. brilliant fast delivery, very good watch. i am very happy !!!! 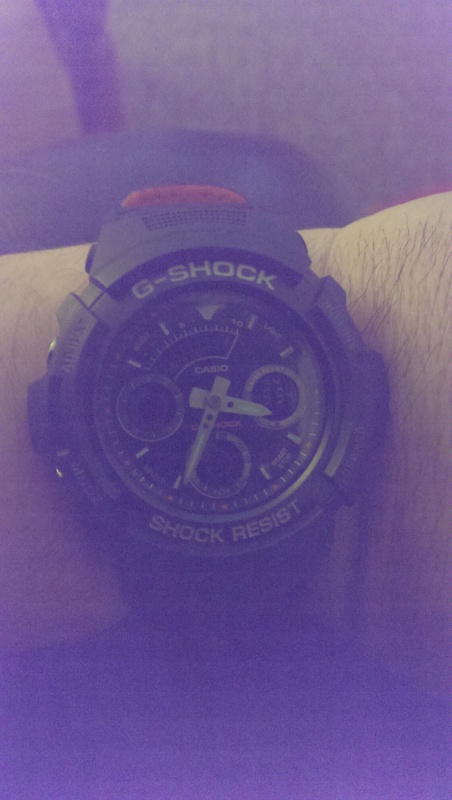 My first G Shock, probably not the last. Very light and well made, a quality watch. My only criticism, the digital numbers can be a little difficult to read, all in all, happy with my purchase. Really impressed with the watch its nicer than it looks in the picture. Its for my 14 year old son so we will have to wait to see if it passes the cool test!!! But we are very happy with it. Great watch, perfect size for my small ish wrist. Very happy with price. Very fast delivery. nice looking watch. Lots of subtle detail and a nice smaller face for the smaller wrist. can be a little hard to view the clear font on black background digital display in low light levels. The hands on the dial have a glow in the dark section which is very handy at night. The watch does stand a bit proud of your wrist as the strap goes behind the back plate of the watch. The strap seems strong and is very comfy, but the piece that holds the loose part of the strap seems looks like it wont last too long. You can buy a black plastic strap for about £20 which would solve both these issues. Overall, im very pleased. 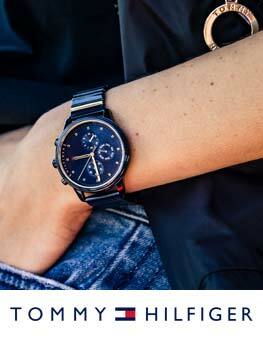 the watch is very slick, lightweight, robust, well proportioned and a well thought through design. the only negative is the one backlight at the no. 8 dial is weak in intensity and not effective.there should be at 3 backlights, i.e. at the no. 12 and 4 dial to balance and provide even light. Fantastic product for the price. Stylish, comfortable and very practical. Water resistance capability is by far superior to other watches in the same price range. Anyone requiring a sports watch with all round performance but this! Great, trendy watch that is reliable. The dials are a little hard to read but for a teenage boy I cant see this being a problem. I have small wrists so I never bought one because of their size until now. This watch is slightly smaller than the Classic G-Shock but bigger than the baby G and is not plastered with the baby G logo so it doesnt look feminine. Resin straps irritate my skin at any sign of sweat so the fabric strap is perfect which also streamlines the look too. Great watch. I am so pleased with this watch, my partners loves it. It is easy enough to set with so many features on it. After cracking my Lorus sport watch I was on the look out for a decent, strong, durable watch that not only was solid but also fashionable but not breaking the bank. I came across G-Shocks recently when I saw my friend bearing one when we were on holiday. I knew about them before but the design and style was always a deterrent for me, so I never really followed the series. But after seeing my friend’s model I thought id look in to them properly and found they have really changed their design schemes to become more appealing to every type of watch wearer. I came across the AW-591MS and was completely taken by it. Not only is it an amazingly durable watch, the material used is second to none, with reinforced carbon rubber & plastic for the time piece and shelled by a dense shatterproof glass shield. The strap is made of fabric, which doesn’t irritate the skin and sits perfectly around any type of wrist with an orange lining on the reverse which always catches peoples eyes and youll find they instantly notice the watch. The mechanism is flawless, as you would expect from the veterans at Casio and it is a stunning addition to the G-Shock series. P.S. I’m a very outdoorsy person and love traveling and this watch is the perfect companion and looks badass! Excellent service very fast, very good quality of watch .style.colour. unique, thanks you watch shop! This is my 1st G-Shock. I like my watches and have a few but none of which I would be willing to wear to work. So I wanted an everyday watch that was able to take a bit of punishment. 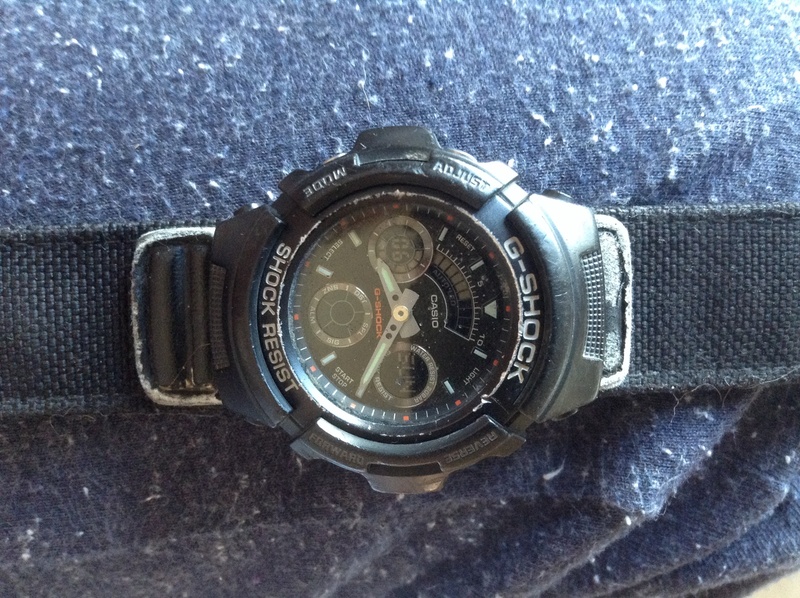 Being my 1st ever G-shock I didnt want to spend too much incase I didnt get on with it. So I gave myself a budget and searched the internet for something I liked. I didnt want a rubber strap as they can get itchy when I get hot and also wanted digital/analogue as in my opinion is the best looking combination. Im also not a big lover of overly chunky watches so wasnt sure what the watch would be like until I received it as things cam look different in real life. I found the watch I wanted and googled for the cheapest price. The Watchshop was the cheapest by a decent amount so I placed my order late on a Sunday night and it arrived by first thing Tuesday. Gorgeous looking military-style watch, as expected and very prompt delivery. I would recommend this watch to anyone and very good product for the price. 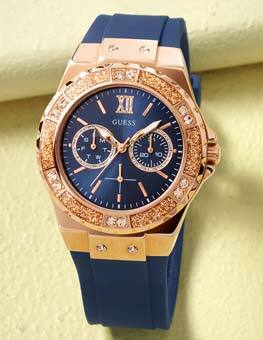 Great looking watch, cant wait to give it to my other half for Valentines day!! After initial difficulties ith the website, I was on the verge of giving up but decided to telephone. Spoke to Imran who took my order and promised that he would do his utmost to ensure that the watch was despatched that day It was a Friday. I was pleasantly surprised when the watch was delivered the next day Saturday. Thank you Imran! Nice watch, looks to be hard wearing. The light isnt the best as doesnt show up digital display. Fabric strap looks good quality but is backed with rubbery coat. Over all a good watch. I bought this watch as a gift for my son. Unfortunately, although he liked the watch, he really wanted a digital one. I have to say that the returns service is absolutely brilliant. I returned the watch by special delivery on the Monday and on Tuesday I had a confirmation email plus the refund in my bank account with no problem whatsoever. I ordered the correct replacement watch which was promptly delivered. 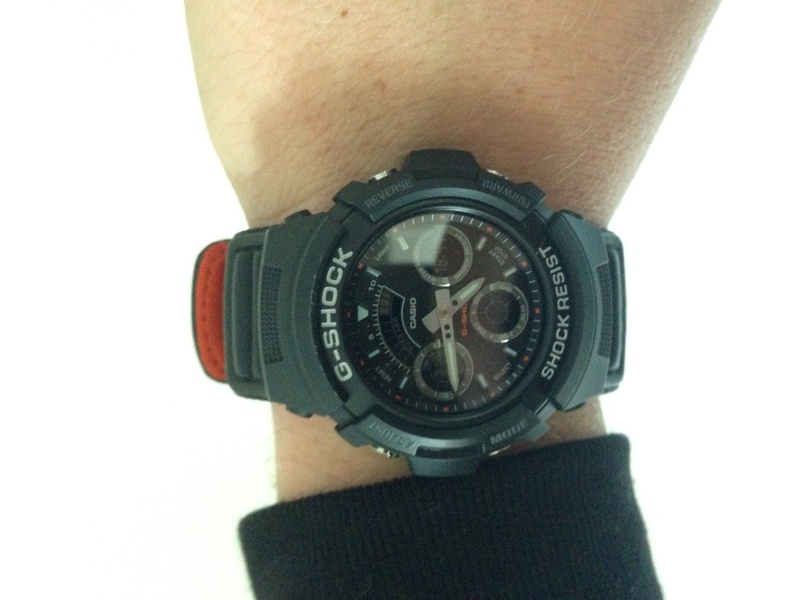 Brilliant watch, compact size g-shock that can be worn everyday. This is my third g-shock the other two are still with me but a bit tired over the years and definitely not the last one. The fabric strap is very comfortable and in my opinion looks better than rubber one. I would definitely recommend this watch if you are after durable watch that is not to flashy and stil smart looking. Quality watch definitely worth buying. I bought this for my 12 year old boy who would of liked to have an outdoorsy looking watch. This watch is also appropriate for 12 and above due to the softer and slightly smaller design. All in all this product is AMAZING. Buy it. The watch is smart, compact, stylish, easy to use and has all the bells and whistles that my husband could ever require! For a high quality, shock resistant watch you could choose no better. The service was exactly as advertised! Arrived on time, even at Christmas. The product feels robust, a great gift for a teenager knowing it will withstand many knocks along the way. The item looks great, its quite sleek for a GShock watch and looks an expensive item, as some are quite bulky. Having purchased this make of watch before due to the family being GShock fans, a plus for this watch is the strap, whilst not to all tastes this will not break and is quite pleasing to the eye with a nice dash of orange incorporated into the strap. The watch face is clear, and has a elegant appearance. The operational buttons feel sturdy. This was purchased at a great price, some retailers asking £40.00 more than I paid, so shop around. I am sure my son will love his new watch for christmas, he lost his last GShock watch in the sea in Spain whilst on holiday. Looks fantastic and the Orange inner to the watch strap adds something a like extra and unique. All the standard functions you expect from G Shock plus an taditional look face too! Bought as a birthday present and as birthday is not till 24 December I am not in a position to revue this watch. However it was delivered earlier than promised so happy with that. Cant review this until after Christmas as its a gift from my wife for me! Bought as a work watch because of the reputation for being hard wearing, and I just destroy watches! Recived this watch two weeks ago and I have to say I am well impressed with it. Very comfortable strap the alarm is really handy and the night light really lights it up. Excellent service from website and prompt free delivery. We were looking for a watch for my son that looked modern and had digital and analogue display. We decided on this one because of the size of the watch was smaller that the bigger dials you see at the moment and would suit a younger person s size. Very pleased when it arrived looks great and and modern. Plenty of button to presss and alarms to set. I had purchased the watch for my partner. The watch is very good quality and well worth the money. Only a couples of negatives. The instructions are not clear and the writing is so small in the leaflet. Other negative because of the unclear instructions it took a long time to set up. I am very disappointed with this G-Shock watch. 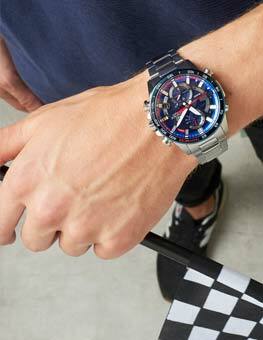 The watch itself is very well made, however, I am a football Referee, and I could not see the stopwatch function, which is obviously very important to me. I also dont understand the black background, it makes viewing the time quite difficult. Nice strap, light, good quality, nice look, very comfortable and good price. Night light could be better. Other than that, very good purchase. The Casio G Shock is excellent. The negative would be the dark smaller dials causing a problem to see in low light. Other than that the watch is a great fit with the lined strap and looks great. Keeps excellent time and looks good at work and play. A solid product that performs as described. Once you are familiar with using the 4 buttons, most functions can be controlled quite easily. Good value and I think that the watch can be worn for business or leisure. This is an excellent choice for the price. Has all the features of a much more expensive watch and looks the part too. Features are easy to use, stopwatch, timer, alarm and world time zones. The backlight is very effective and it looks like it will be pretty durable. Very satisfied. A great watch with a comfortable strap. Multi functions result in getting the benefits of an analog and digital watch. The light function will illuminate the face but not the date / digital parts of the watch which can prove troublesome. Overall a good watch from the g-shock range with a unique strap. This was a valentines present for my husband. It came the next day as stated at no extra charge. He loves it. Very light weight but a sturdy watch. Good watch for the price, does everything you need and doesnt look too bad either. This is easily one of the best watches I own to use for my work as a personal trainer. The functions are easy to use having read the booklet, its very stylish and comfortable to wear. Overall a nice watch. Wasnt too keen on the strap, which made the watch sit high off my wrist, replaced it with a rubber one, much better. One serious flaw is that the hands obscure the timer window when at 15 past the hour making it impossible to set an alarm. Very nice watch, really good looking, easy set up, excllent fit. High recommened !!! Awesome watch! My husband loved it! Will definitely get a Casio at WatchShop for myself. It is really nice watch. i bought it for my husband, as a birthday gift. He is pleased with it. A lovely watch with some great features. Attractive to look at and my son is really enjoying both the features and how it looks. I would certainly recommend this to anyone. I have always bought g shock watches for myself so I know they are fantastic watches, that keep going. The waterproof feature is a must for me and my son loves this too. Thank you watch shop for another brilliant product. A great looking watch to sit between my high end dress watch and another cheaper G Shock for building site work. The black/red contrast just shows through enough to be different and catch the eye. Perfect shopping experience from Watchshop, great info during and after purchase / shipping. Will certainly use again when I am after another watch. Watch arrived and is exactly what I required a good product. Brought this watch for my son as a part of his birthday present. 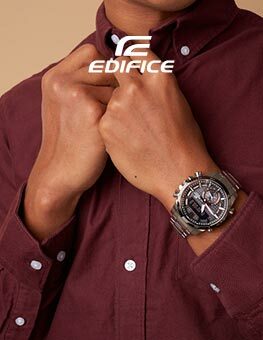 He choose the watch because he liked the style and the functions. I choose the watch because it looks tough and unbreakable....I hope. A good looking watch. I bought it as it fits the bill for being rugged, waterproof etc for when Im out moutainbiking and has a fabric strap. I nearly returned it as the combination of digital/analogue doesnt quite work - you cant see the seconds window if the arms are in the wrong place. Also the small LED windows are only visible if you catch the light right. If you want a basic rugged analogue with alarms etc it is a good buy, if the stopwatch functions are important go for a straight forward digital display. Great watch use it for work always getting bashed about second one I have owned. first one lasted 8 years so great purchase and price highly recommend . Great watch, good functions. The fabric strap gives it a nice finish and means it can be worn for smart or casual. A quality watch, nice looking, not to bulky or heavy with a comfortable strap. Brilliant value for money. My friend was really impressed with it. Standard of watch is what is expecte of g shock watches, sturdy but light. Ideal for at work whether thats on the building site or the office to be fair. Fabric strap is ideal as my husband had an allergic reaction to the old plastic one of his previous watch. Others have said its difficult to set time but personally didnt find it too difficult. Happy with the purchase. Wanted a watch for holidays, adjustable strap with back light and easy to read face. After unboxing from its nice presentation case I was surprised at how light in weight it was, along with the fabric strap and not too large face, an ideal watch for hot humid countries. Setting up was easy, 5 minutes tops. Really pleased with this good looking time piece. Watch was in superb condition when arrived and really pleased with all of the packaging, makes it look very high class. Watch itself is very nice to look at, extremely durable and very sporty looking but is versatile enough to be worn out and about in formal wear. Great product and very pleased with it. The delivery service was also excellent and I will be recommending the online store. My only disappointment was with the gift wrapping. The label was unusable as whoever attached the sticky label with words did so upside down, askew, and with air bubbles so it wasnt easy to read. Also for £1.95 you could use nicer paper. I have owned G-shock watches in the past and found them to be damn near indestructable and this new one will be no different. chunky, quality feel, high build standard. stacked with more features than necessary. analogue and digital time formats. Impossible to programme without manual. Glow in the dark bits a bit small on the face not really a problem as the cool retro light illuminates it perfectly. The best way to describe the watch is that it is military style, ultra tough, looks great in everything except maybe a suit. Any one who has an active lifestyle will love this watch, and those in the know will be impressed by your choice when they see it. The watch is black, black face, chrome hands, wide black strap with pimped out orange on the inside. There are 5 alarms, countdown timers, count up timers, different timezones, water resist to 200m, impact resistant, You can also set the light to illuminate when you arm is at a certain angle i.e. when you are reading the time. Hourly chime, damage resistant case, what more to you need? Great watch, looks good, works good. the only issue is the initial setting of the time or if you change the battery so just keep hold of the manual. After scouring the internet to find one of these and having fallen for a fake off the well know auction site, I was really excited to get my hands on the real thing. This model has a black strap with an orange/red inside, and white lettering on the black bezel. The strap itself is fairly chunky about 3cm wide and about 26cm end to end, it is also pretty comfy, and has loads of adjustment, so its easy to let it out a notch if it gets a bit tight through the day. While the strap is very cool the watch itself has a fair bit of awesomeness. Black face with brushed silver hands, and an orange led for low light viewing. It has all sorts of stopwatch/multi time functions. You have the digital time which can be switched to show the day/month/year, and a digital seconds count etc.To be honest I bought it for the look over substance. But that said, its a very nice bit of kit and well worth the £60 price tag. The ONLY negative I have with this watch is that the digital and the analogue hands times are totally independent. Meaning you set one and have to set the other to match, there is no syncing of the two times. A bit of a pain and not sure why you would want to do that, but a couple of mins and the instruction booklet and all was sorted. Just as a side note this is the model of watch worn by Matt Damon in the film Green Zone. I bought this for my husband who is particulary fussy and he is really pleased!!! I needed a watch with a fabric strap and this is great, the watch face is a great size too, most tend to be too big!! Really pleased and would highly recommend this watch. Crackin watch. Bought it for my son in law who is 24. he loves it. Says it is really light and comfortable, easy to use and loves the way the face lights up when you turn your wrist. Very very chuffed at this purchase. So far very impressed. Lightweight and comfy and looks good too. Lots of features and not overly complicated as long as you are prepared to look through the imposing looking manual! Nice looking watch, techno, but not over the top. Bright Orange LED light is cool. Strap is good and wide. Fabric strap, but inside does not seem to soak up sweat, good if you use this watch for sport, as the strap is not quickly removeable. One more classy watch from Casio. Extremely comfortable, Very functional and very well visible at night. Looks realy stylish with that orange accent. bought this watch for my son for his birthday, he is really pleased with it and all its features including different time zones for different countries a stop watch and an alarm also features a really good back light so it can be seen clearly in the dark the strap is very comfortable and the watch looks good . For me this is a really comfy watch. For its size it is very light weight. The strap is solid but flexible. However i do find it hard to see the digital displays is certain light. If the colours were reversed, i.e black on white, then it would be a different matter. great product, simple and looking good. product received within 24 hrs, so really good service from Watchshop too. definitely Recommend product and website. I'd been looking for a new watch for a couple of months for a more "casual" look as my current timepiece looked great with a suit but didn't really work with more casual gear - certainly not suitable while mountain biking! The Casio AW-591MS-1AER wasn't the watch I initially wanted but the price was good and a little cheaper than my original option I was slightly restricted as I wanted a fabric strap rather than rubber or metal. So, is the watch any good? In a word, yes. It;s a lot lighter than I thought it would be but not so much as not to feel cheap. The strap is black weave topside and orange underneath with silver buckle and holes. The strap looks like it will last well but I'm not sure how easy it will be to obtain a replacement if it does break. Comfort wise, you can forget it's on your wrist as it's so comfortable. The actual timepiece is a good looking watch.It has a large "G-Shock" stamp above the 12 O'clock position, just in case I forget. "Shock resist" is stamped under the 3 o'clock position, presumably to remind you that the chunky case isn't just for show. The four buttons, at 2, 4, 8 and 10, are easy to press with bare hands but gloved fingers may find it a little more difficult due to the rubber protusions either side of each button. The protusions serve a purpose though, other than making you take your gloves off, by shielding the buttons from accidental knocking. The face is black and the in set electronic dials are also black which means that they can be a little difficult to read in low light conditions, even when using the orange rim light. The black dials aren't a great problem at night though unless you want to know the date as you won't be able to read it, in reality.The date dial also deals with the day and digital time. It is hard to get the digital time and analogue time to match exactly and there will be times when one is slighty ahead of the other. This isn;'t an issue for me as I can read an analogueclock and keep the digital dial set to the day or date. In short, it's a really good watch. I believe there are a few different colour schemes about and the watch has been made for a couple of years at least - my mate has the same watch but with purpleish dials and different material for the strap. It must be good or Casio wouldn't still be making it! It's cheap, looks good, works brilliantly and is super comfy. And to top it off, the delivery was first class and properly nest day!! Extremely pleased with the watch. As its a Christmas present I can't say what the recipient will think. I'm absolutely sure it's exactly what he wants and will be as delighted as I am. watch is good, details on face a little dark, could do with more contrast to save using the light all the time. The watch is really good. Delivered the items on time. The picture can be shown still more clearly in net. excellent service and the product is also very good. I easily know all the functions of the product by the help of user guide. The item came very quick and looked stylish and fashionable. The strap is comfy and I love the black design. I am so impressed how organized and how quick my watch has been delivered. Definitely watchshop.com will be my place to buy watches. Very, very good. I strongly recommend! 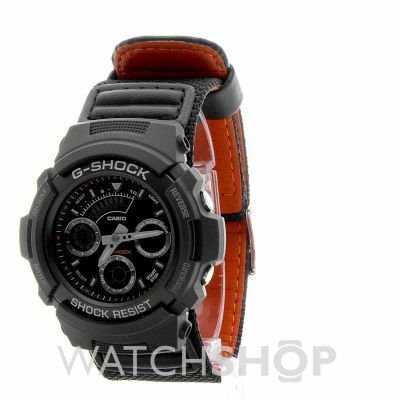 Casio G-Shock Watch AW 591MS-1AER is a great watch with a stylish orange wristband. The watch is solid and the design is minimalist and modern. The watch has several functions and it quite easy to learn how to control the timer, alarm, stopwatch etc. The only main cons is that you can't see the digital screens when it's dark. Overall there's great value for money, handy functions and solid construction. Received my first g shock today, ordered it at 1430hrs yesterday and delivered by post at 1030hrs. As a paramedic, I need a watch that is comfortable in all potentially uncomfortable situations,reliable and long lasting.This watch looks chunky but sits nicely on the wrist,and is deceptively light. Easy to set up and the instructions aren't as bad to understand as I was expecting. The night light,set in the bottom left corner, doesn't illuminate all the face and the digital figures are still in darkness but all I require is to see the hands. I anticipate many years of service from a watch with an excellent pedigree. i bought this watch for my husband for the valentines day he loved this so much.It is very good and the color is very stylish.its is easy to set the time. this watch was a xmas present, delivery was excellent. the watch was in fantastic condition, the person loved the gift and hasnt taken it off thier wrist yet :). should i ever need a watch again, i will come back to the watch shop; they impressed at every level. thank you for the brilliant service. The G Shock is a great watch at an excellent price. Clear display, multitude of functions, everything I require for use in day to day - wearing it for work and for sport. Only downside - the over complicated maual! Bought for my husband who loved the watch, great for ourdoors and working in a trade as he does and it gives his wrist freedom to move. It can afford to take a couple of knocks and not get damaged at all. It is a little bit fiddly to change simple things but well worth it for this watch. great product i didnt originally wan this watch i tried oredering another but there out of stock everywhere so this is the next best thing i think my partner will love it im gonna ask him to marry me with it great engagement gift hes very adventurous so loves mounting biking, fishing so this is a great watch to get some one that loves the outdoor its rugged and manly easy to clean if its gonna get dirty great features on itthe only downside the orange im not sure about and the dials are a bit small but i like it like that any bigger i think it will look weird comes in wicked case very quick service the style is fabulous and i hope hes gonna say yes! date,world time and seconds area is too small.watch face needs to be lighter. strap is excellent. No nonsence, no fuss, great service and a great watch!!! Beautifull piece and a must for any Gshock collector. Im a paramedic so i need a watch that can withstand tough use and is a vital piece of equpitment when working with patients. So far I have not been let down with this watch and I would imagine for many years to come It will stick by me. Rugged but comfortable design, great in dark conditions and of course looks well. A stunning watch, very high quality and looks and feels sturdy. Features are awesome and after a steep learning curve very easy to use and to remember to use. The strap is very stylish too. Now to start collecting other G-Shocks!